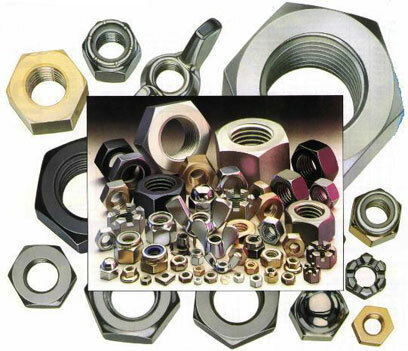 Also known as captive nuts, these are used as a “spring-in-fit” nut in square or slotted holes in sheet steel or other rigid materials. They provide a measure of compliance for the mounting of components, e.g. M6 sizes used in 19″ racks for panel mounting. 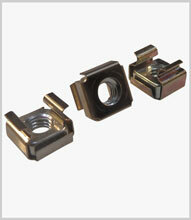 Sizes are usually M3 to M10 in zinc plated steel or stainless steel.